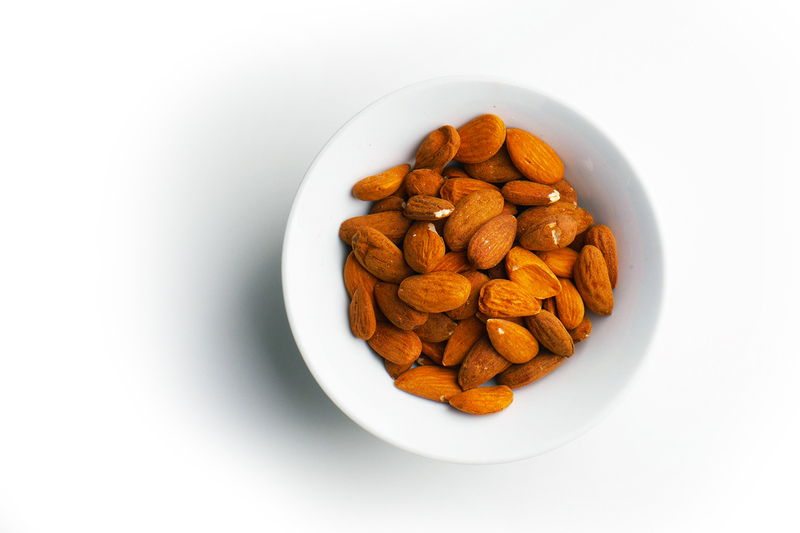 Almonds are great snack food full of goodness. 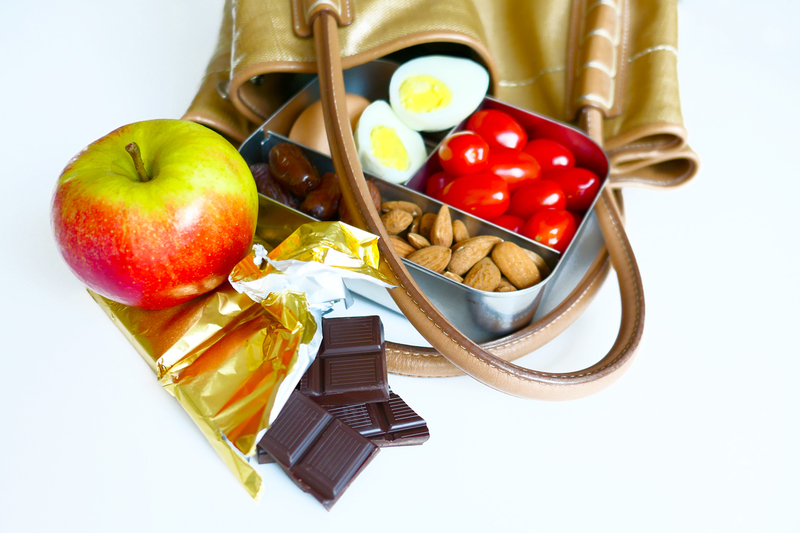 Eating a small handful a day comes with many health benefits. 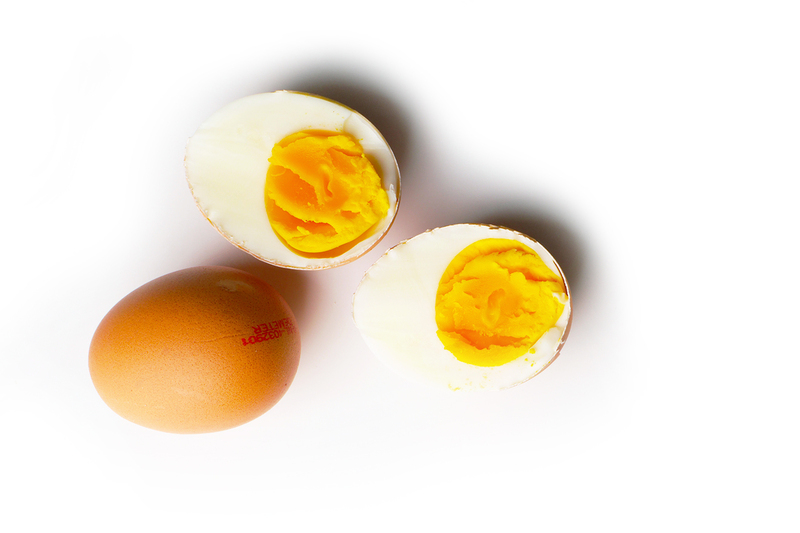 I always make sure to have a few boiled eggs in my fridge (they keep for about a week), so I can grab them on demand. Due to their high protein content they fill up in an instant. 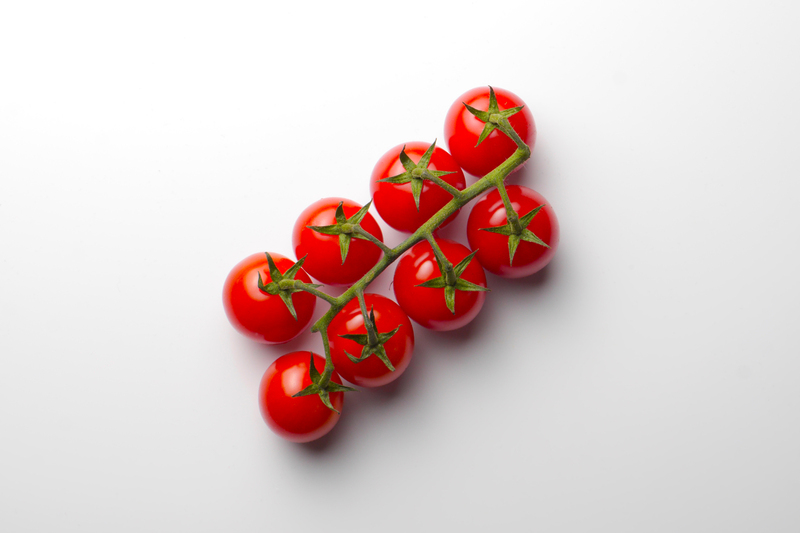 Cherry tomatoes have the perfect bite size and are very refreshing. I put them in a small container to avoid squashing. 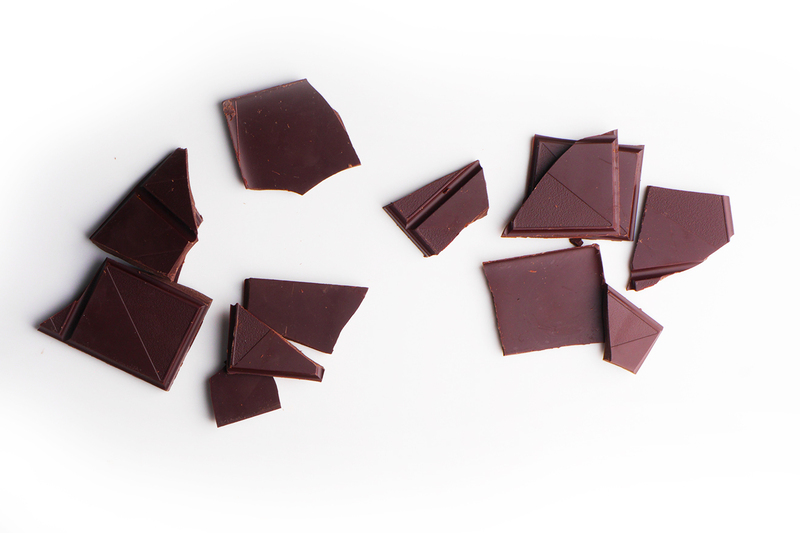 Dark chocolate (min. 70%) is not only and instant energy provider but also good for you. Often 1 or 2 pieces are enough to keep you going. 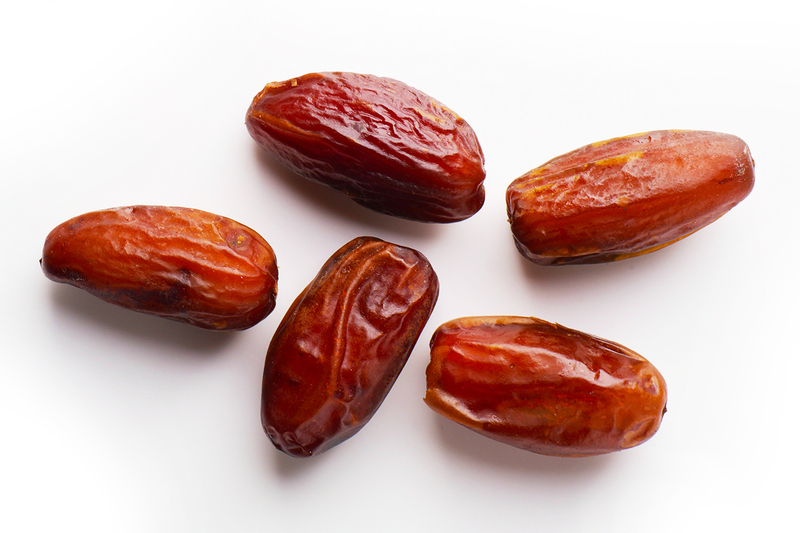 Dried dates are a deliciously sweet healthy snack and great substitute for additive loaded conventional sweets. 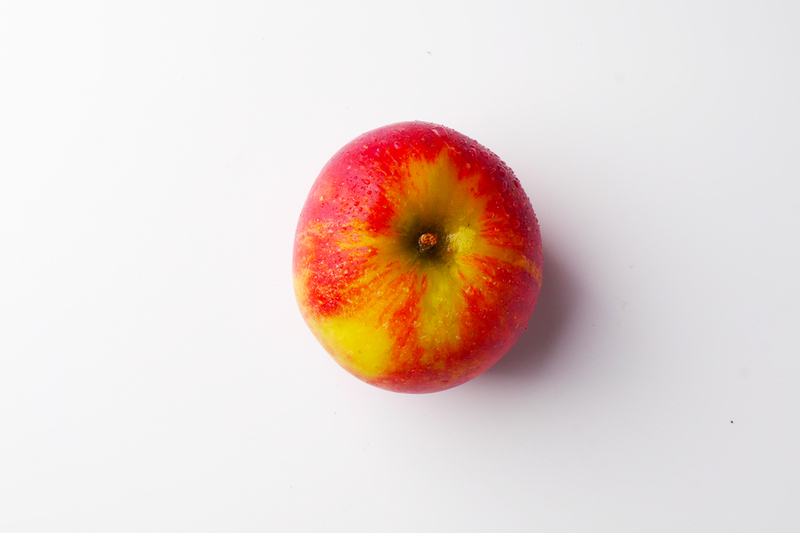 Last but not least, an all time classic: if you don’t fancy an apple you are not really hungry.